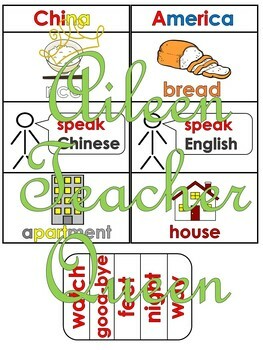 Provide comprehensible input for your students with these flashcards! 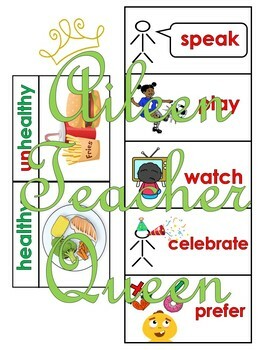 Verbs vocabulary chart and sight words are in red just like in the VIPKID lessons. 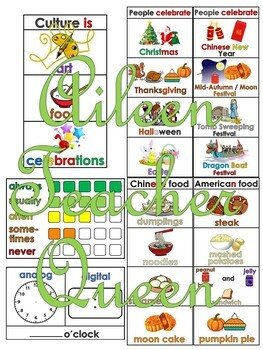 **This set features bonus vocabulary for both American and Chinese food and celebrations. This unit can get very repetitive due to how easy the sentence frames are and how much they are repeated through out the unit - be prepared to extend! 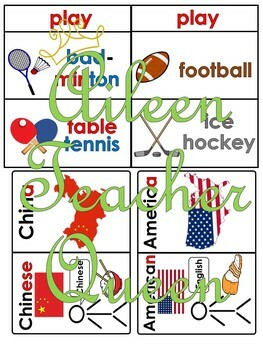 You can use these to ask questions of frequency which is another learning objective of this unit. For example, "How often do people in China eat steak/mashed potatoes/etc.?" or "How often do people in China celebrate Christmas/Halloween/etc.?" Clock card is blank so that it may be laminated and used with dry erase markers to write in times as needed. Charts with side-by-side columns are meant to be folded when teaching vocabulary in isolation and then opened to teach the sentence frames associated with the vocabulary.